Among the honorees at the 2016 Nisei Week Japanese Festival in Little Tokyo are three recipients each of the Frances K. Hashimoto Community Service Award and the Inspiration Award. These individuals and organizations were recognized by the Nisei Week Foundation during the Nisei Week Parade on Aug. 14 and the Awards Dinner on Aug. 15 at the DoubleTree by Hilton. • Bunkado is proud to be celebrating its 70th anniversary this year. Located in Los Angeles’ historic Little Tokyo at 340 E. First St., it was founded soon after the end of World War II by Suye Ueyama and her husband Tokio, an accomplished painter. Bunkado has always been considered a “gift store” but also serves the community’s needs for everyday dishware and cooking supplies, dolls, Buddhist items, stationery, art supplies, books, toys, origami, and specialized items for ikebana, tea ceremony, and Japanese dance. Items range from expensive decorative items to small daily necessities. In the 1960s to 1980s, Bunkado processed subscriptions nationally for imported Japanese magazines, and was at one time the largest retailer of recorded Japanese music outside of Japan. Bunkado has always been owned by the Tsukada family. After Ueyama’s passing, the management of the store was left to her youngest brother, Masao Tsukada, and his wife, Kayoko, who together operated Tsukada Shokai on First Street in the 1950s. Tsukada was a World War II veteran who served as a translator in the U.S. Army’s Military Intelligence Service. Over the years, members of the extended Tsukada family ran a total of nine Little Tokyo storefronts: Tsukada Shokai, two Bunkado locations, two L.A. Goods locations, L.A. Mercantile, Beverly’s Bonbonnerie/Postal Annex, Little Tokyo Gifts, and later Hagi Gift Store. Today, Bunkado is still open seven days a week at its original location on the former site of Kame Restaurant, Los Angeles’ first Japanese-owned business, which started in the late 1800s. Shoppers are happy to find many of the same type of items as in the old days, and take delight in seeing low-tech toys such as paper balloons, wooden pull toys from Japan, and a large selection of books on Japan and its culture. It joined the modern age with its website, BunkadoOnline.com, and though on a small scale, the website fills orders from all over the world. Irene Tsukada Simonian is the current owner, daughter of Masao and Kayoko. Her husband, Steve Simonian, was chief of police of Montebello, and later chief of the L.A. County District Attorney’s Bureau of Investigations. He loves Little Tokyo and is often seen helping at the store since his retirement. Children of the family, five grandchildren and a nephew, are a regular presence, helping during Nisei Week, Tanabata Festival, and other events. 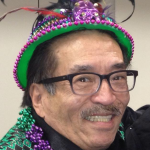 Tsukada Simonian has served on the board of the Little Tokyo Public Safety Association/Koban for more than 20 years and is a committee co-chair and board member of the Little Tokyo Community Council. Little Tokyo has faced many challenges over the years, and she is proud to see the area continue to flourish thanks to the work of the many community organizations serving the Japanese and Japanese American community. She also served on the executive board of the California Oak Foundation and is a lifetime member. Tsukada Simonian’s passion is her family and promoting a healthy, sustainable environment and protection of natural habitats while promoting urban renewal. • The Little Tokyo Public Safety Association (LTPSA) was founded in 1986 as a response to crimes that were affecting business in the Little Tokyo area. In the early 1990s, local businessmen began patrolling the area to address car burglaries and aggressive panhandling that intimidated customers, tourists, and residents. What started as a patrol of three men peaked to more than 50 volunteers working in cooperation with the Los Angeles Police Department, from First to Fifth streets. Wearing bright green uniformed shirts, bike-certified and trained by the LAPD, they served as the eyes and ears of law enforcement and addressed quality-of-life issues in Little Tokyo. The ‘Men and Women in Green’ have become easily recognizable over the years, especially at special events. In 1996, the LTPSA opened the Koban, located at 307 E. First St. in the heart of historic Little Tokyo. The Koban is an information center and an LAPD drop-in center for officers to interview victims and prepare reports, and serves as the headquarters for the volunteer patrol members. This facility is manned by a paid bilingual staff member as well as volunteers who provide tourist and visitor safety information, and serves as an important link to Little Tokyo throughout Southern California. 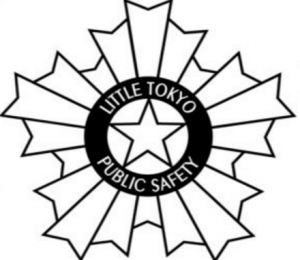 Because of its long history with public safety concerns, the LTPSA has become the “go-to” group for inquiries from the media and law enforcement on Little Tokyo-area incidents. Over the years, the LTPSA has expanded its programs to include safety and first aid seminars, school and seniors’ programs, and has been certified as a Red Cross training facility. The LTPSA recently coordinated the installation of eight security cameras around Little Tokyo and sponsors cleanup programs with community organizations and foreign students. Visitors can find a safe and clean restroom at the Koban, and community organizations are welcome to use the meeting room. Most importantly, the Koban is Little Tokyo’s emergency preparedness center, equipped with portable generators, portable lighting, and light rescue equipment. In 2009, the Koban was proud to facilitate the start-up of the L.A. Tanabata Festival. In addition, it has hosted the year-around photo gallery of the Nisei Week Japanese Festival and Tanabata Festival since 2009. This year, it will start its new annual Volunteer Day by rededicating the mural on Central Avenue and First Street in memory of the late Nancy Kikuchi, the Koban’s most valued community volunteer and board member. The LTPSA is able to conduct these services and programs and to keep the Koban open, thanks in part to voluntary membership dues and donations. Visitors and volunteers are always welcome to the Koban. • Manzanar Committee. In December 1969, approximately 200 people drove by car and bus on a pilgrimage to a dusty patch of desert in the Owens Valley. Their destination was Manzanar. The participants, mostly students who had never been there before, were organized by Warren Furutani and Victor Shibata, who were inspired by the civil rights and identity movements of the 1960s. The work of the group began in earnest in 1970, when the Manzanar Committee was formed with a two-fold focus on education and to establish Manzanar as a California State Historical Landmark. After numerous trips to Sacramento by Embrey, Furutani, and Ishii, the site achieved Historic Landmark designation in January 1972. Immediately following its dedication, the Manzanar Committee began working on designation of the site as a National Historic Landmark. Due to the committee’s efforts, Congress authorized the Department of the Interior to survey Manzanar as a potential landmark. The committee collaborated again in providing photographs, maps, and interviews. Finally, in 1984, Manzanar was nominated. Manzanar received National Historic Landmark status a year later. In 2002 groundbreaking began and in 2004 the Manzanar National Historic Site held its grand opening. For more than 47 years, the Manzanar Committee has organized the annual pilgrimage. Every year more than 1,000 people attend to pay their respects and honor those who endured life behind barbed wire. The committee believes we must remember Executive Order 9066 and its aftermath and must defend the constitutional rights of all to ensure what happened to our families will never happen again to anyone, anywhere. • Rodney Kageyama, who has been in the performing arts for 35 years. 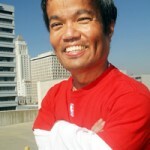 He began his career in San Francisco as one of the founding members of the Asian American Theater Company. 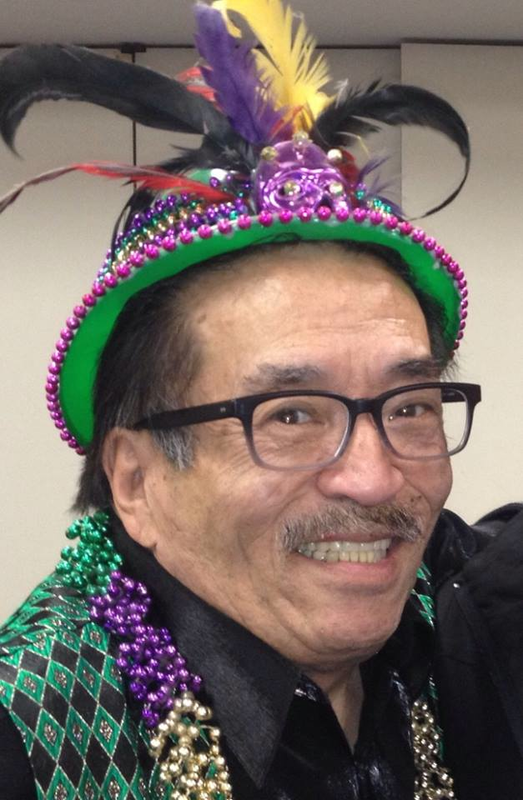 While there he participated as actor, director, and designer in several productions, including Frank Chin’s “Year of the Dragon” and Ed Sakamoto’’s “Yellow Is My Favorite Color” and “Voices in the Shadows.” Kageyama attended the prestigious American Conservatory Theatre, where he later became the registrar. In 1979, having moved to Los Angeles “to play with the big guys,” Kageyama became a member of East West Players, the leading Asian American theatre group in the United States. He worked there as actor, costume designer, and director for their new playwright series. Kageyama also acted in many films and television shows, including, “Gung Ho,” “Karate Kid II,” “The Next Karate Kid,” “Hiroshima Out of the Ashes,” “Pretty Woman,” “Teenwolf,” “Home Improvement,” “Murder She Wrote,” “Fresh Prince of Bel Air,” and “Quantum Leap,” just to name a few. He was also seen in “California Dreams” at Disney’s California Adventure theme park. 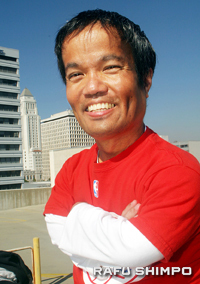 He presently volunteers many hours as an emcee for many events held by community organizations, including the Japanese American National Museum, Japanese American Cultural and Community Center, Monterey Park Cherry Blossom Festival, East West Players, Asians for Miracle Marrow Matches (A3M), Nisei Week Japanese Festival, and Tanabata Festival. 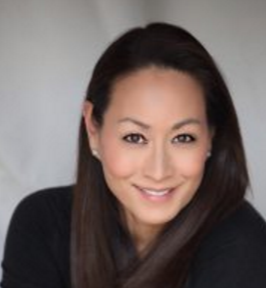 Kageyama has been involved with Nisei Week since 2003, serving as Baby Show chair for many years and as a board member of the Nisei Week Foundation. He has also produced such events as So-Phis Fashion Show, A3M Charity Benefit, Nisei Week Baby Show, and JACCC Children’s Day. For the past 10 years, he has been volunteering his time as a part-time docent at the Japanese American National Museum, where he initiated a storytelling program for children. At present, Kageyama is working up ideas for a children’s book, “Adventures of Rex and Reiko,” based on his two pet pugs. As an animal rescue advocate, he also helps place animals in loving homes. • Leslie Kawai, a Sansei and third-generation native of Pasadena. Her grandfather, Toichiro Kawai, immigrated to Pasadena in 1898 and built the drum bridge and bell tower for Henry Huntington at the Huntington Gardens. Her father, Shigeru, played baseball and football with Jackie Robinson. Kawai began dancing at the age of 5 and studied with Evelyn LeMone, later becoming a member of the Pasadena Dance Theatre. As a child, her mother, Aya, patiently drove her all over the Los Angeles area to study from different teachers and work on different sets. A graduate of Flintridge Sacred Heart Academy, Kawai is a former Nisei Week princess and the first person of color to be named Pasadena Tournament of Roses Queen. Shortly thereafter, she was signed by the Nina Blanchard Agency, where she worked as a professional model and dancer. Having appeared in numerous print ads and national commercials, Kawai was fortunate to work for clients such as Nike, Shiseido Cosmetics, Kikkoman, and Clairol, and was featured in Shape, Muscle & Fitness, Mademoiselle and Vogue magazines. She also walked the runway for Escada, Bruce Oldfield, Tadashi, and Nolan Miller. Kawai choreographed the Nisei Week Fashion Show, which opened the opportunities to stage productions for Catalina and Gottex Swimwear, Baryshnikov Dancewear, Heal the Bay, Nordstrom, and the Susan G. Komen Foundation. She eventually left the industry to raise her daughter, Tara, and entered the world of fitness. She was a co-owner of Spinning Pasadena Fitness Center, the first facility to bring spinning to the San Gabriel Valley, where she met her fiancé, J Lopez. In addition, she has taught Cardiobarre, a ballet based workout, for the past 15 years. In 1994, Kawai choreographed her first Nisei Week Coronation Ball and will be choreographing her 18th Coronation Ball this year. Daughter Tara has served as co-choreographer for the past four years. She enjoys the process of working with each unique court, watching them grow from their first day in rehearsal as shy young women, to seeing them on stage Coronation Night as fierce, phenomenal goddesses. She serves on the board of Flintridge Sacred Heart Academy and is a past board member of the Pasadena Dance Theatre. Giving back to the community is very important to Kawai and she is truly grateful for being a part of the Nisei Week family. • John Carl “JT” Tamaki. “Good times with good friends!” For Tamaki, that meant getting a group of friends together to go to a Clippers game at the Staples Center, watching a Clippers game on the TV monitors at the Dave and Busters arcade, sitting in a luxury suite at Dodger stadium, or eating together in Little Tokyo at Oiwake restaurant. He had a special knack for arranging group activities. Making people feel comfortable in social gatherings was another special talent. Tamaki’s generosity extended to the Japanese American community. For example, during a 12-month period, he was busy organizing the Nisei Week Luau, Japanese American Optimists’ Luau and Nisei Week Baby Show; picking up and delivering food and supplies for the Nisei Week Hospitality Committee; organizing the Japanese American Community Nights at Dodger Stadium and Clippers games at the Staples Center. He did all this with a smile and good words for everyone. Tamaki worked in the movie and entertainment industry. He once appeared in a movie as one of Santa’s elves and later had a role as a mud wrestler. He was mostly hired as an actor who read the script for a child’s character. Since child actors can only work a limited number of hours each day, Tamaki would take over the child’s role and continue to read the script so adults could rehearse their lines. A memorable winning moment for Tamaki took place on the Clippers basketball court. As he stood on the free throw line, his friend Andy Shimazaki turned to the 2007 Nisei Week Queen and Court and told them if Tamaki made the shot, he would take them all to Lawry’s Restaurant. Tamaki threw a left-handed hook shot towards the basket. That free throw shot is now on YouTube and it is titled “JT’s Big Shot: A Tribute.” Shimazaki’s good-natured joke became an $800 dinner. On Nov. 1, 2015, Tamaki was relaxing after his weekly Sunday dinner at the home of his sister, Mary. While watching the World Series on TV, Tamaki exhaled a final breath and peacefully closed his eyes for the last time. He was 53 years old. Tamaki was with the family he loved, and they in turn, loved him. And his extended family will continue to remember his example of generosity and of having fun. Most importantly, he showed us how to love each other. At the parade and the dinner, he was represented by his mother, Anna Mae. Also recognized at the Awards Dinner were this year’s grand marshal, Kaori Nara Turner, Emmy Award-winning make-up artist and community leader, and parade marshal, Brittany Ishibashi, actress most recently featured in the hit movie “Teenage Mutant Ninja Turtles: Out of the Shadows” playing the role of Karai. In addition, the Nisei Week Foundation honored The Rafu Shimpo with the President’s Award for its outstanding service to the Japanese American community. As most know, the newspaper was founded 113 years ago to chronicle the story of the Japanese American community in Southern California. It is in a fight for its existence and needs to increase its subscribers by year’s end. To show appreciation for all that The Rafu does for the Nisei Week Japanese Festival and the community, the Nisei Week Foundation Board felt it was the right time to bestow this recognition.